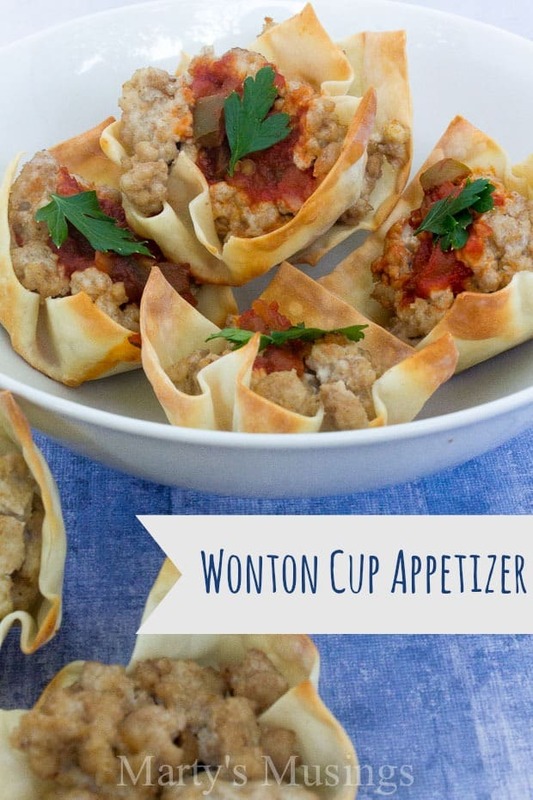 Disclosure: Today I’m sharing a fun Wonton Cup Appetizer made with Tyson Ground Chicken. This is a sponsored post for the Collective Bias® Social Fabric Community. Insights and opinions are all mine! With the biggest holiday season of the year just around the corner (Halloween, Thanksgiving, Christmas and New Year) I am always on the lookout for simple recipes to serve as appetizers at gatherings for friends. This recipe came to my mind as a combination of another family favorite. We love to make Sausage Roll Ups which are composed of sausage and cream cheese rolled up in half bread slices and wrapped in bacon. My DIY husband loves bacon. He thinks it’s a food group all by itself, but as his dutiful wife I try to make bacon more of a once in a while addition, not a daily consumption. 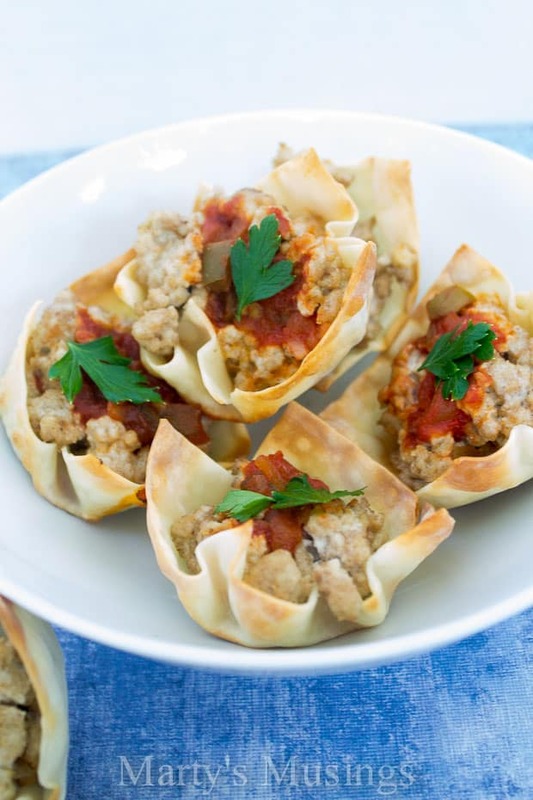 This recipe is so simple and much healthier than the sausage and bacon combination. 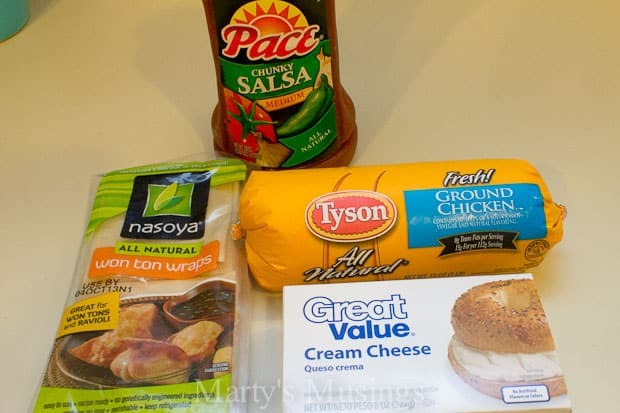 I was pleasantly surprised to find that the Tyson ground chicken was delicious. 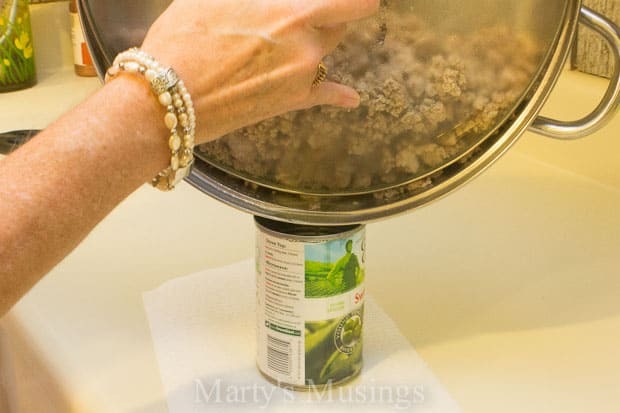 I enjoyed the taste so much more than ground turkey, which is what we use the majority of the time. The price was very reasonable, and we all loved the way the appetizer turned out. You can see my whole path to purchase in my Google Plus Album. 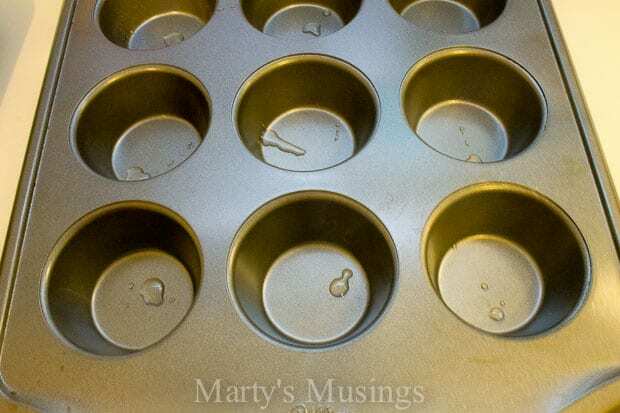 First I sprayed some oil and greased the muffin tins. while I also gently lined the muffin cups with the wraps. I cooked the wraps for 5 minutes at 350 degrees. After the ground chicken was browned I drained off the excess grease. I then mixed the 8 oz. 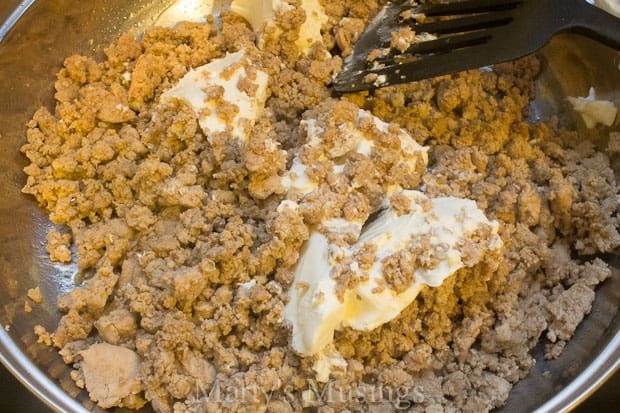 softened cream cheese into the ground chicken mixture. 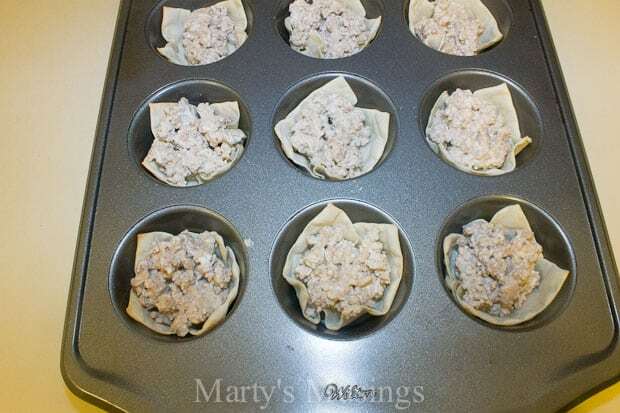 The meat mixture was then added to the cooked wonton cups. 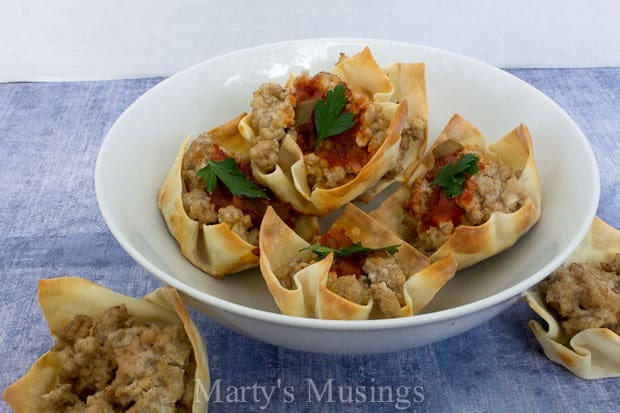 I also added salsa to some of the wonton cups and only meat mixture to others. 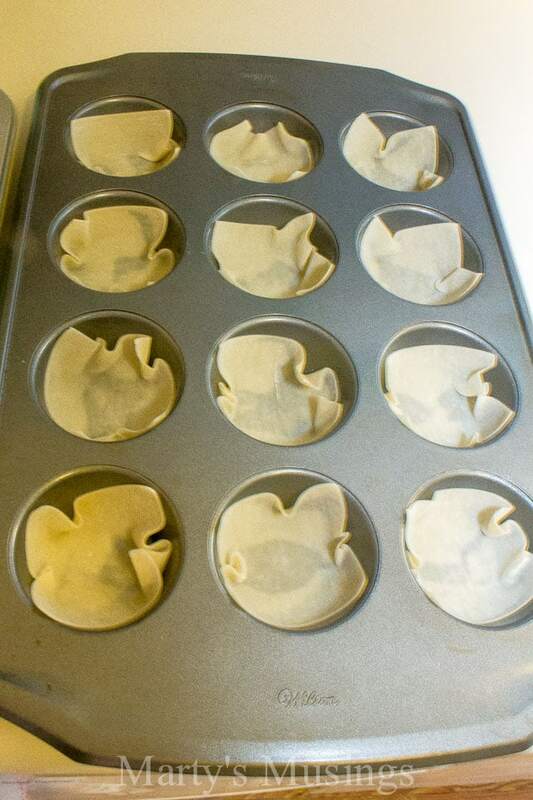 The wonton cups only have to cook for 7 minutes or so at 350 degrees, just until edges are lightly browned. I even served these to my family as the main course that night with a salad on the side. 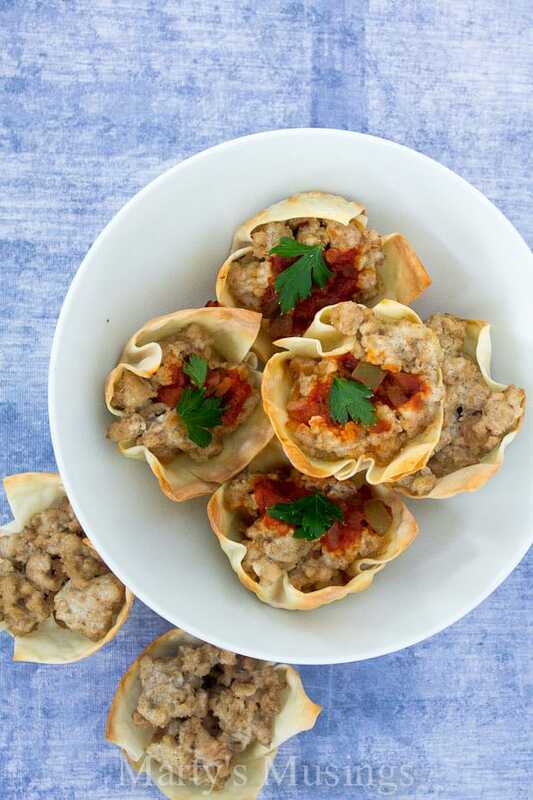 Easy four ingredient appetizer using wonton wraps, ground chicken, cream cheese and salsa. 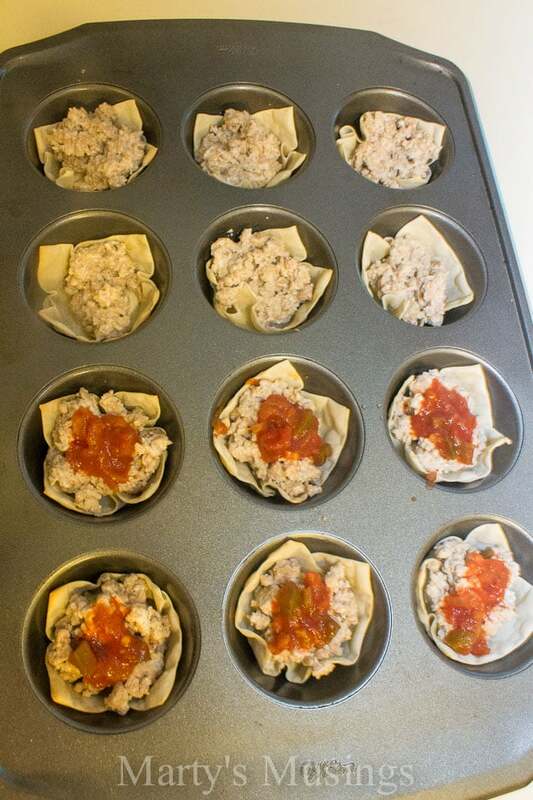 Lightly grease two muffin tins and gently line with one wonton wrap in each muffin cup. Cook for 5 minutes at 350 degrees. 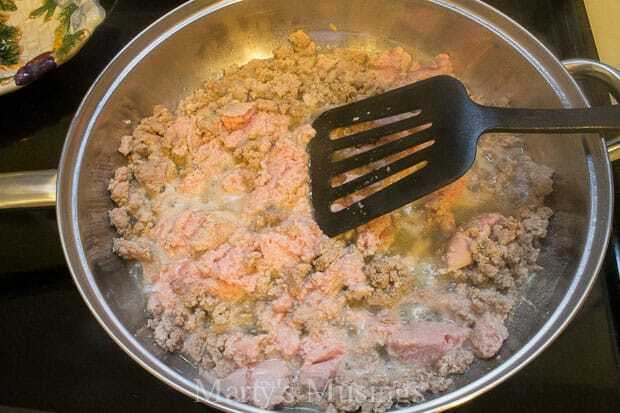 Brown ground chicken and pour off excess grease. Stir cream cheese into ground chicken until mixed well. Spoon meat mixture into each wrap, add a bit of salsa if desired and cook for 7-8 minutes at 350 degrees. I had enough wraps and meat mixture to make 36 wonton cups with a few wraps left over. You can add salsa, shredded cheese, onions, sour cream or another complimentary topping. Could also be served with dipping sauces on the side. These look great, Marty. I’m a big fan of wontons, but this is a new take of them. And your photos are fab. Lemme know if I need to beat someone up at foodgawker. I liked that you baked the wontons instead of frying them. Much healthier that way! is getting more popular nowadays.